At Let Us Do The Cooking it is our goal to provide Central Texas with great home cooked food at affordable prices with unparalleled customer service. This has been our mission since our beginning. Started by Meredith Viguers in a converted garage in her home, Let Us Do The Cooking has truly been a labor of love. It is this love for the food and people we serve that has allowed us to continue to grow each year we’ve been in business. Let us know the details of your event so we can help make it a success. I was very pleased with the prompt setup and the amount of food that was served. 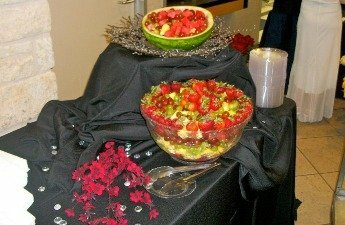 Meredith made my marketing seminar event the talk of the town by providing excellent tasting food. And the price is too good to be true! Working with Meredith is hassle-free and I definitely get my money’s worth! Meredith and Company, thanks so much for all you did to make our Appreciation Dinner a memorable event! Not only was the menu you recommended tasty, filling, and well-prepared, your staff were efficient, courteous, and a pleasure to interact with. The quality of the food and service, as well as the above-and-beyond touches of coming early to set up, being flexible with our program schedule and bussing the tables helped create a welcoming and stress-free environment for our guests. We certainly got more than our money’s worth! We thoroughly enjoyed our Christmas party with Lasagna, Salad, wonderful Biscuits and Desserts. This was so much better than what we have had in previous times. We all agree that we will do this again and again. Thanks for such an easy service and delicious food. Merry Christmas and we will be getting in touch for events in the future. We just wanted to say THANKS!! 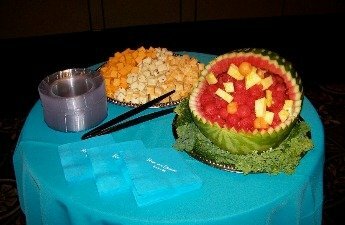 for the wonderful food that was provided for our wedding…. EVERYONE loved the food!! We are still getting tons of compliments everyday! We appreciate everything that you did to make our day fantastic! Thanks again!! I just had to write to let everyone know what a fantastic job “Let Us Do The Cooking” did for my daughter’s wedding on Saturday! I am very impressed with Meredith and her crew. The food was fabulous and presented beautifully! Karla and Pat kept everything replenished and Karla even helped with the wedding cake! We truly appreciated their professionalism and willingness to help! Thank you again for helping to make my daughter and new son-in-law’s wedding into the wonderful event that it was! Thank you, Thank you to your wonderful staff. The service that we received at our daugters wedding was out of this world. 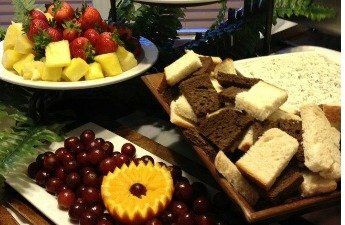 The food was GREAT, we had many compliments on the food during the wedding and two weeks later guest are still telling us how much they enjoyed the food. Thank you again for making our special day worry free. The staff went beyond the call of duty to keep things going smoothly. I was impressed with this company. They were able to accommodate many last minute requests that we did not foresee until the day before the event. The event was fantastic, and I heard nothing but compliments from the attendees. The chocolate cake was a favorite! Thanks for all of your hard work, and especially for putting up with a lot of last minute changes. Your staff did a great job! My production worked with Meredith’s amazing company for many weeks while in Austin filming. I am so impressed by the quality and diversity of her food! Its rare that a TV crew of our size can all agree that catering is great – and with Let Us Do The Cooking the entire crew kept coming back for more. A well fed crew is a happy and productive crew! Thank you Meredith for your amazing support of my team!